Happy Valentine's Day Eve everyone! Todd and I went out for a nice lunch at Red Lobster on Sunday. It was one of the last days to take part in the 4 courses for $15. We decided to do our "big" meal out Sunday instead of tomorrow night because we figure it will be pretty crowded out. Tomorrow we plan to get some take out or something quick so I don't have to cook and then chill with a movie. I never posted my sugar cubes project like I promised! So, here it is! First off, you need some hard candies. I still had candy canes left over from Christmas. I had rainbow ones (which I neglected to photograph) and these pink and red ones. I unwrapped them all (ugh!) and crushed them in the food processor. I was scared they would damage the blade but everything was fine... just a little noisy! It's so pretty! Like rainbow confetti! Just make sure you let the sugar dust settle for a few minutes before opening the top. I opened the top immediately after processing and got a load of sugar up my nose and in my mouth. There was some fine sugar dust and larger chunks. I used a fine strainer to separate the large pieces from the fine dust. Here is the dust. So pretty! Here are the larger pieces. I used these for my Valentine's Stained Glass Cookies. I added some sugar to the candy cane dust to help sweeten it up a bit. I put the fine dust back in the processor and added DROPS of water. If you add too much water, your sugar cubes will never dry! Press into molds. I used cute heart-shaped silicone molds from Target. They were only $2.50! Put them in the fridge to set. When they are hard, gently squish them out onto some wax paper. Voila! These sugar "cube" beauties go great with my Valentine's Day Tea and Valentine's Stained Glass Cookies. I even bagged some up to give to my co-workers tomorrow! Who wouldn't want to get one of these goodie bags? great ideas! 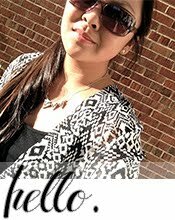 I found you on the linky blog hop and I'm your newest follower! I hope you can drop by Moose Mouse Creations and follow me too! Thanks for stopping by! I am also following you, on GFC and Linky! Hope you come by again soon!